Next Sunday, September 25, I will be at the Southlands Country Fair. I will be in the market showing and selling my work. 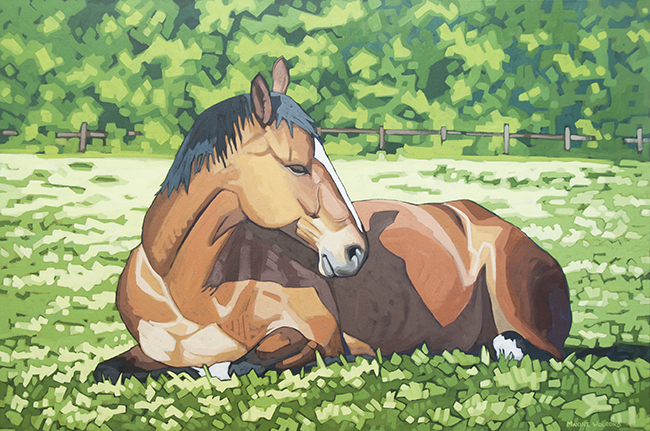 If you need a painting of a horse or a chicken, come see me! The hours are 10 am – 5 pm, at the Southlands Riding Club. BC Fruit 11" x 14"
Yet another subject from our local farm. I had a lot of fun with these apples. It was tricky to find all the different shades of yellow and green that I saw. 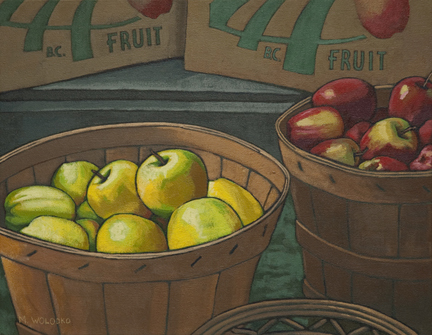 I was trying to make the colourful apples pop out from the background of dull brown.